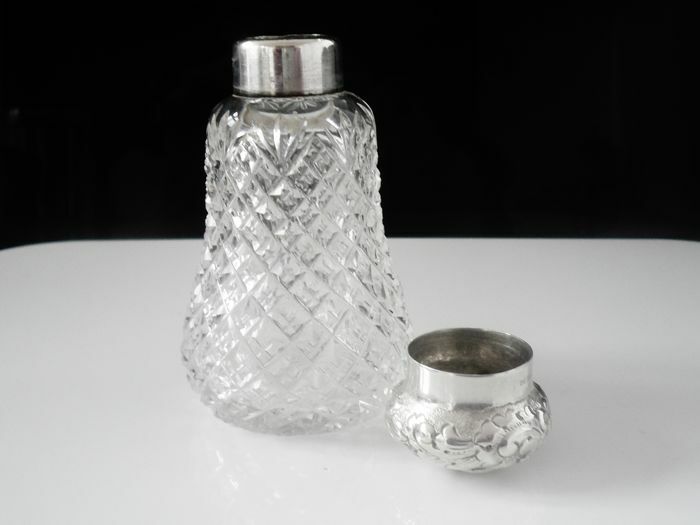 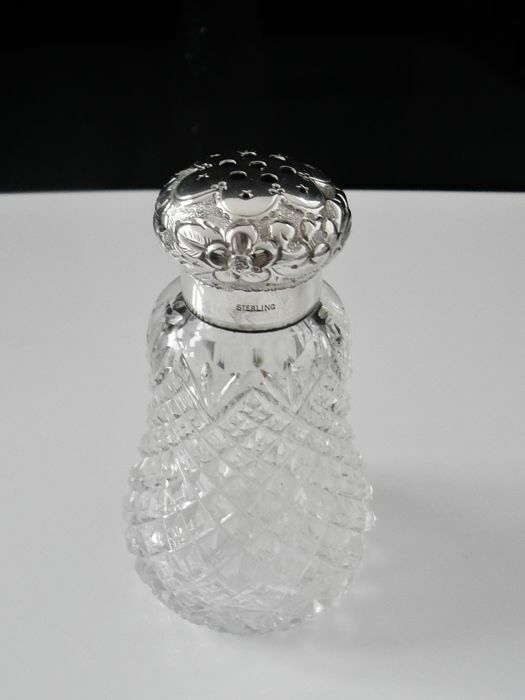 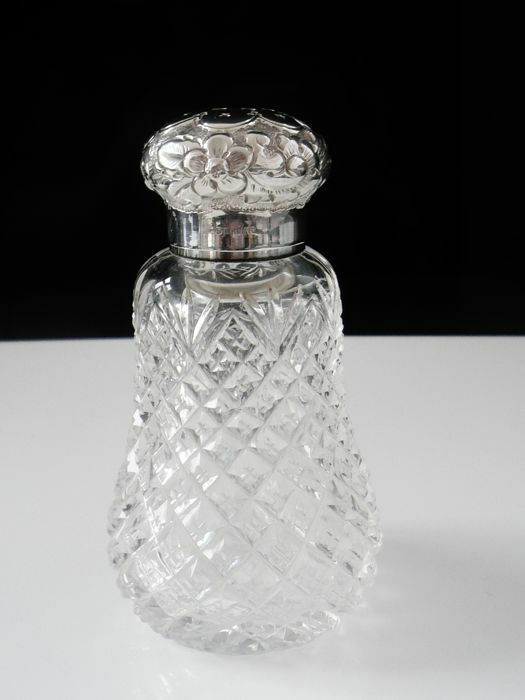 A very attractive cut glass smelling salts bottle with sterling silver lid very nicely decorated. 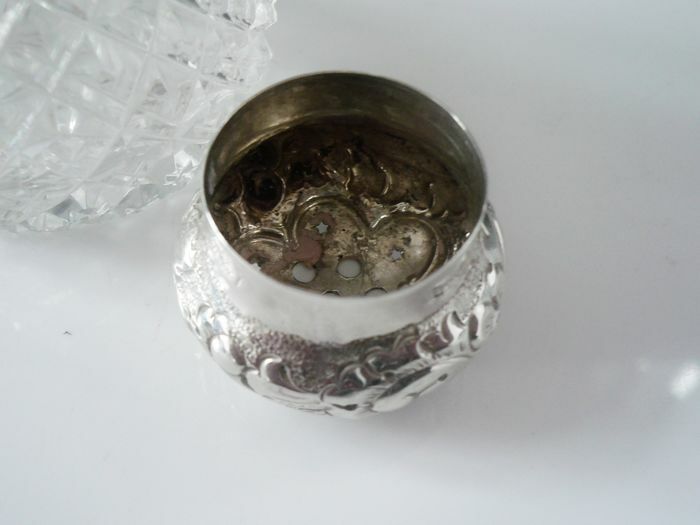 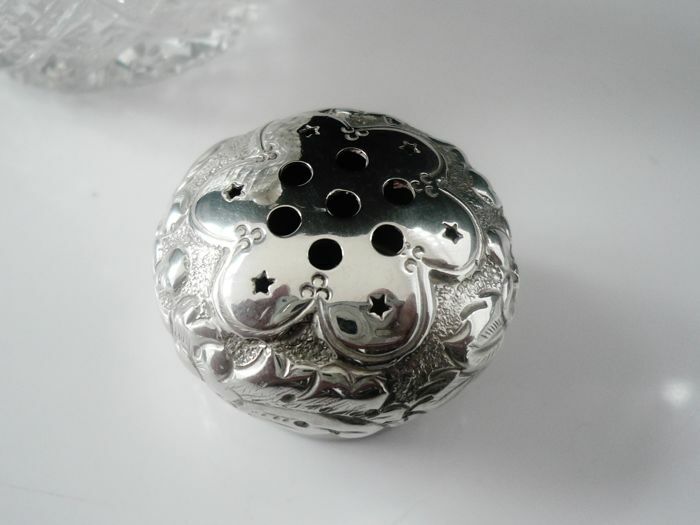 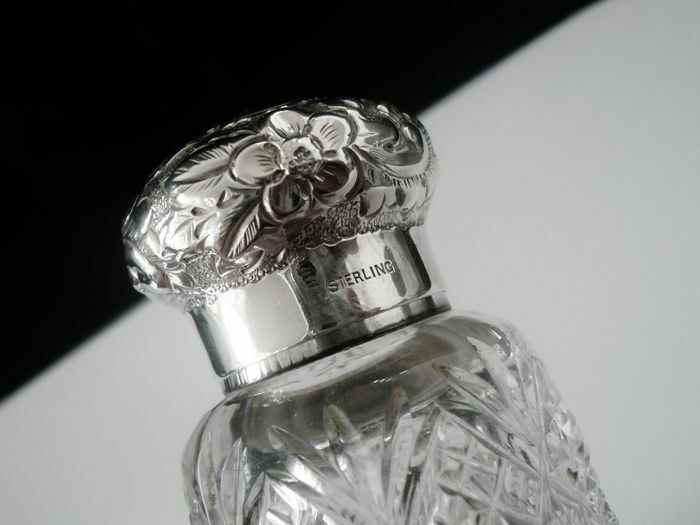 Marked Sterling to lid so impossible to date with accuracy but we would say c.1900 will be there or there abouts. 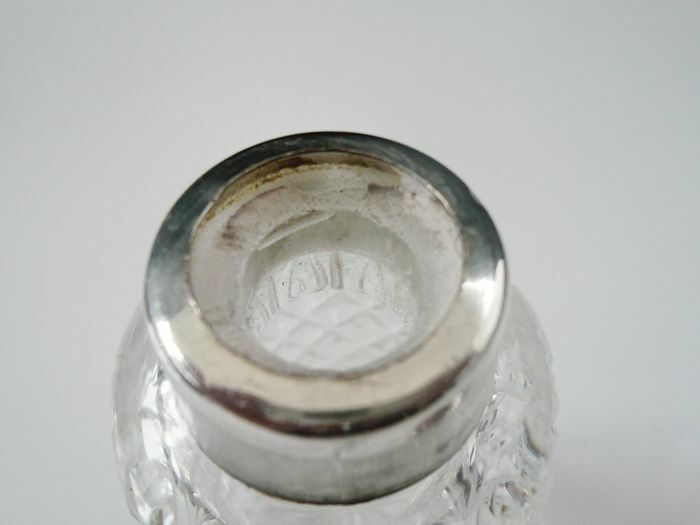 In good clean order, the bottle would have had an internal stopper , this is not present.